We are offering Precision Centerless Grinding Component that is used in various industries. These Precision Centerless Grinding Component are made from quality materials to ensure durability and long life. A comprehensive assortment of High Precision Machine Grinding Component is made by us using premium grade raw material and advanced technology. Our range is acknowledged to offer excellent service & working speed and is extremely cost effective. Due to affluent industry skill and year of experience, we are involved in presenting an extensive series of Precision Turned Grinding Component. With the help of latest technology and unique techniques, we provide our clients with precision turned components. These components are widely demanded by our customers as these are extensively ideal for grinding, heat treatments and plating. Complex, accurate and smallest tolerance are such turned components that are high in demand for their compact designs. We are the manufacturers of a broad range of Precision Mechanical Machinery. These are casted using superior quality mild steel, alloy steel and stainless steel and can be used for various industrial processes. Our range of precision ground components stands high on the parameters of quality and can also be custom designed as per the requirements of clients. We are offering a wide range of precision grinding to our customers. 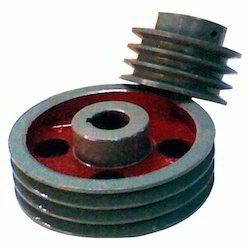 We are the number one company known for offering Grinding Shaft to the clients. Grinding Shaft is widely used in various machines. Offered range is made at our advanced unit by using high quality material keeping in view the application requirements of our clients. 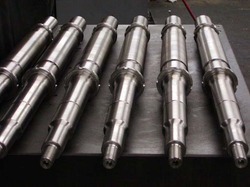 We are offering this Grinding Shaft at reasonable rate. Our Grinding components are manufactured to be able to grind the toughest of materials. They are produced in different shapes and sizes so as to be useful in different purposes. They are made of stainless steel to be able to last longer with higher efficiency. We are the leading job work provider in Coimbatore, Tiruppur, Erode, Salem, Krishnagiri, Vellore, karur, Thoothukudi, Ooty, Hosur, Palani, Dindigul, Villupuram, Trichy, Tiruchirapalli, Pollachi, Madurai, Chennai, Palakkad, Kerala etc.